Like a thunderous punk song that’s over before it’s really begun, Green Room can be surmised in a single slight phrase: neo-Nazis versus punks. Jeremy Saulnier’s siege horror concerns a struggling band who find themselves trapped in a far-right dive bar, trying to fend off a murderous gang led by an against-type Patrick Stewart. 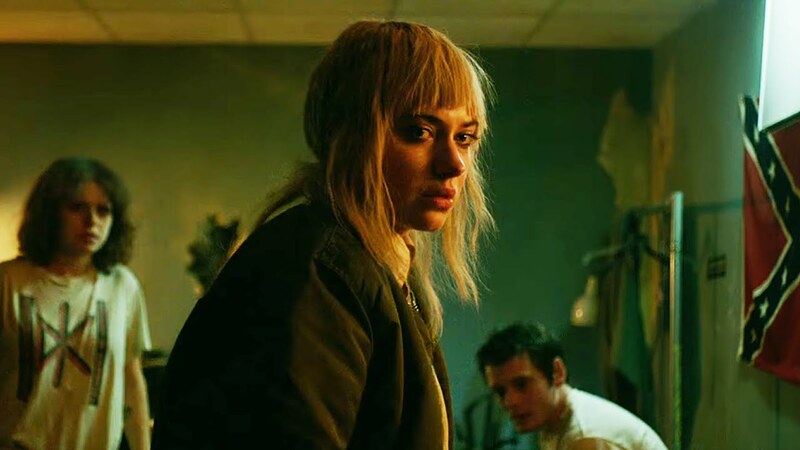 While Green Room is an unabashed, whippet-thin genre exercise, it has been patently crafted with a great deal of care: ahead of its release, we spoke to its thoughtful writer-director about making the film. Punk has been a part of youth subculture for decades but it’s rare to actually see punks as the heroes of a film. Have they had a raw deal cinematically? Maybe they have. It’s definitely a danger when you get mired in punk rock. I grew up in that scene, but the whole premise for this film was to use that as a world and make it as authentic as possible, then let it shift to the background. Lot of things are taken from my personal experience and high school friends that were in touring bands. My band never actually toured the country so I don’t have those stories, but I’ve played in Mexican restaurants to seven people. I’ve yelled into microphones. I think if you make your film about punks and for punks you lose a lot of the audience. The sneaky, subversive way to get punks on screens to not oversell that element. It’s more about the characters. Green Room is about a war with professionals on one side of the door and amateurs on the other. How much research did you do into far-right organisations? There are lots of details like the hierarchical use of red bootlaces that seemed very specific. Everything was researched and true in some way or another, but I took from different organisations and filtered it. I didn’t model them after any one existing group, not just because I don’t want to start any fights. I certainly used neo-Nazis as a background layer, but the film is more about highlighting the power structure in the current American rightwing mainstream. The wealthy few use misinformation and certain techniques to channel real problems and anger downward, so they get to keep their hands clean and protect their interests as carnage goes back and forth. 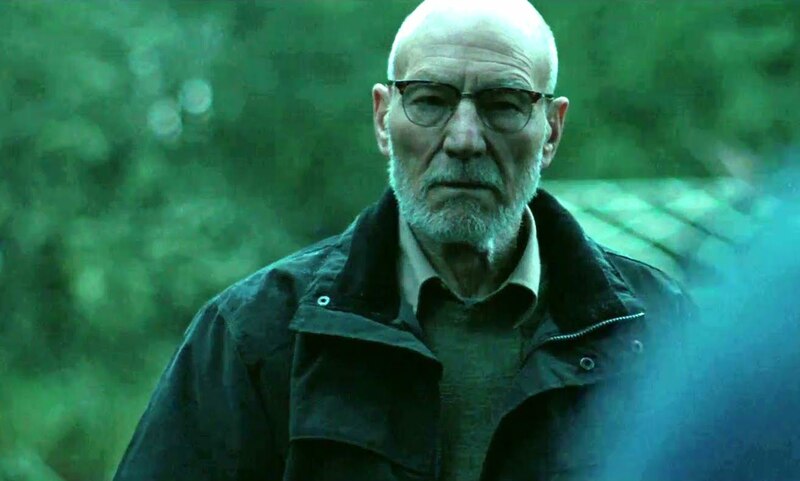 It seems that the obvious route would be to make Patrick Stewart’s Darcy violent and mercurial, but he’s scarier because he acts in a businesslike fashion. How did you envision the character? I saw his motivation as being practical self-preservation. He’s not a sinister villain who’s sadistic. You can call him evil but it’s because of his indifference, protecting his own assets above the lives of others. What’s scary is that he’s calm, professional and not emotional as far as the brutal violence in the film. He’s not having fun torturing these kids, murdering people, but he’ll do it if he thinks has to. Patrick told me that it was the most quiet performance he’d ever given on stage or screen. He was worried that we wouldn’t be able to get the sound. You waited six years to make your previous film Blue Ruin, and it was funded in part with a successful Kickstarter campaign but also by refinancing your house and putting in your own money. After its success, is making a film still life or death when you’re in more favourable circumstances? The stakes seemed even higher because Green Room was a much bigger movie. I wanted to hurry up and capitalise off the momentum of Blue Ruin and not take the bait of developing projects in Hollywood, where I might spend three years to not make a movie. It was another risk, and because it was with other people’s money it was actually more discomforting. Do you think steady career accumulation is important? The current trend is for massive tentpole movies to be directed by emerging independent directors who aren’t given a great deal of control. Did you ever feel the temptation to not do your own work but to pitch for a Star Wars spin-off or something? I’ve definitely always wanted to do a big studio project, but I think the practical way for me to do that would be to incrementally make bigger movies and earn the faith of people so that the time I hit a high budget I’m trusted. What I don’t want to do is come on as a director for hire and get tossed around and make a piece of garbage. A lot of younger directors get brought up through the system too soon and they produce a watered-down disaster that no-one likes and they get blamed for it. I’m very cautious about who I partner up with because I want to make sure that when I make a movie it’s mine. I want to earn that place so people will give over control. It’s dangerous when you do anything by committee. A film has to have a voice and there has to be someone to preserve that voice. You once described Blue Ruin as “bridging the gap between cerebral cinema and gut-punching exploitation,” which could also fit Green Room. What’s interesting to you about that space? There was just a void. It’s about making entertaining movies that elicit an emotional, physical response as much as an intellectual one. I’ve been to so many films that are smart yet just don’t move me. Much of the audience has shifted to TV, but what you can’t do in a season of television is create a singular experience – a crazy wild ride, a night of madness and mayhem. It’s about the collective shared theatrical experience. My approach is from the audience perspective. Let’s make a traditional genre film that’s got exploitation elements and all that fun gritty stuff, but not underestimate viewers and treat them like imbeciles. Often in genre films audiences roll their eyes at the protagonists because they’re doing things to satisfy the story and not themselves, so I wanted have real people doing what real people might do in that situation. A lot of the notes you get when you’re trying to sell a screenplay will just nudge a film back to standard tropes. It’s boring and when you have the opportunity to make something original, all you’ve got to do is veer off course suddenly and then you open up this whole new horizon of possibilities. I believe that audiences love to be freed from conventions and they respond to it.